Lashings of rope twist around bamboo joints. The oculus begins to takes shape. The build team cuts and bends bamboo by hand, creating the form and structure of this year’s MPavilion. A lot has been happening in the last few weeks. 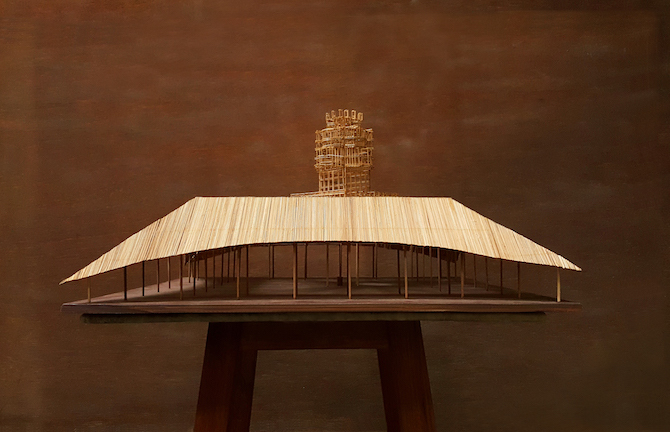 With our opening day looming over the mid-spring horizon—Bijoy Jain and Studio Mumbai’s MPavilion 2016/17 is not far away. Keen to get your hands dirty with our builders? 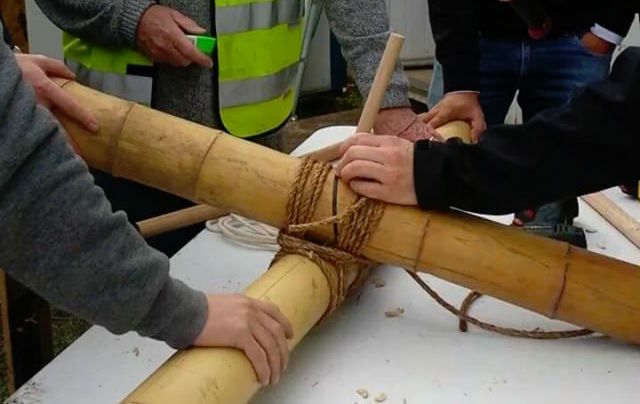 Join us for a very special bamboo and rope workshop. Meanwhile, for inspiration, read on for a re-cap of the build so far—see how far we’ve come! A key part of Studio Mumbai’s creative process is the use of scale models. These are used to get a physical sense, albeit scaled-down, of the architecture to be created. We were very happy to release these designs to you in late July. 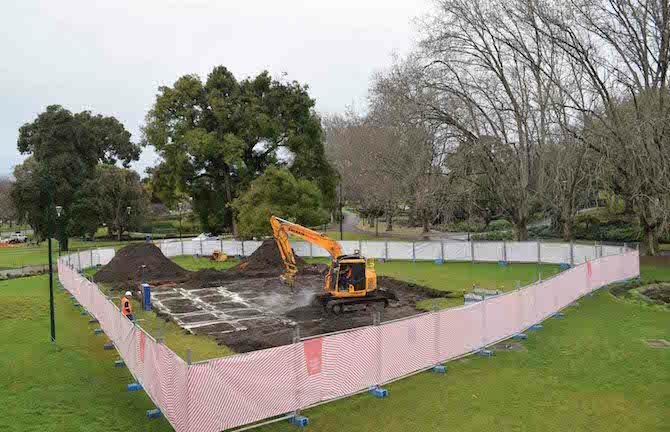 “We’ve broken ground!” This was a great moment—the first movement of soil for MPavilion’s all-important footings. 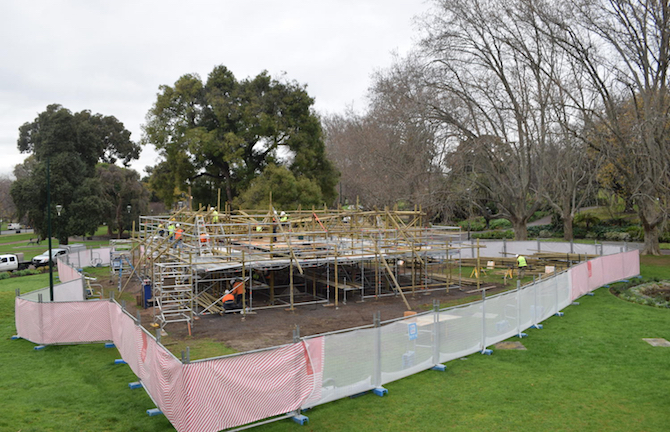 Early on in the MPavilion build process—our building team get shown the ropes (quite literally!) by the Studio Mumbai crew. Found in period architecture and cobbled streets and sourced from local quarries all over the state, bluestone is iconically Victorian. 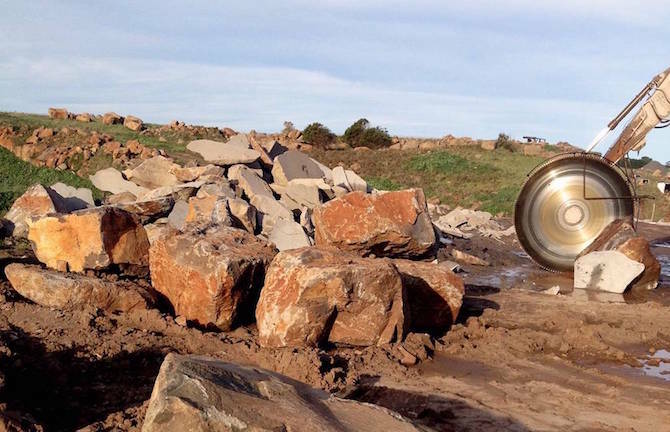 Our build team travelled to the beautiful township of Port Fairy to inspect some bluestone. 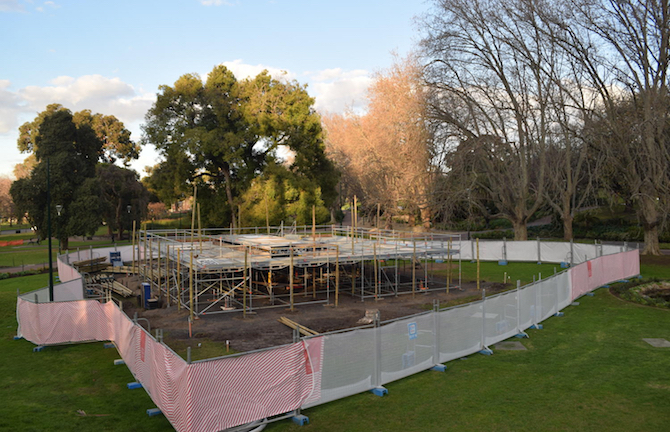 What they found was some top quality rock to make the stunning floor of this year’s MPavilion. More than a pizza cutter. 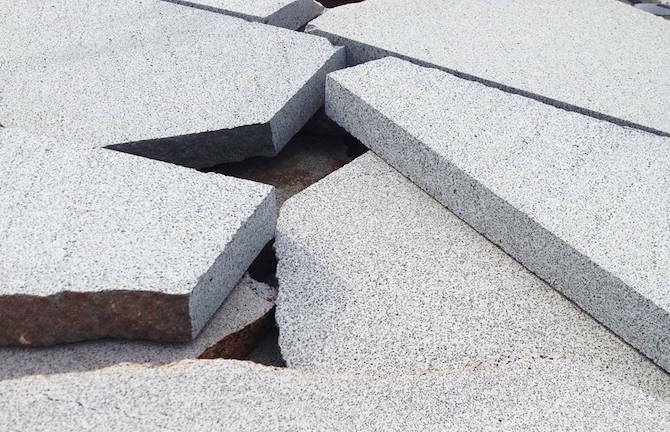 This rotating blade cuts bluestone to perfection. Rope tied in this way is called a “lashing”. Here bamboo meets Manilla rope. 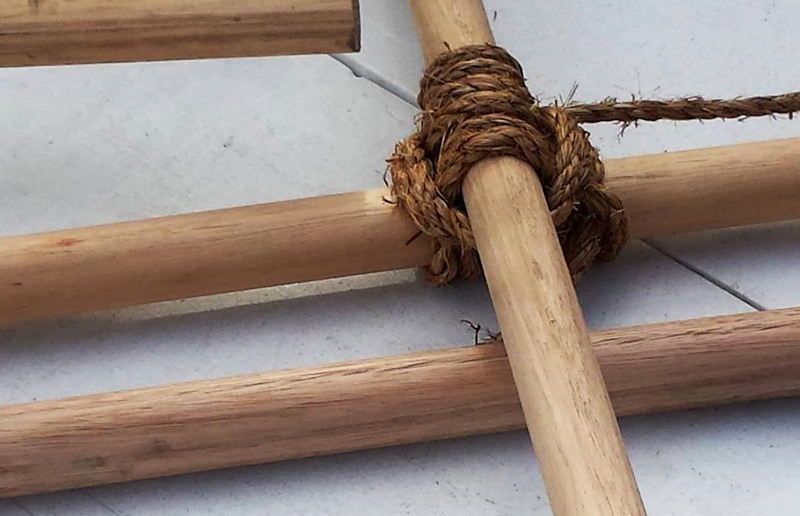 We are doing a rope and bamboo workshop on Sunday 11 September—click here for more details. 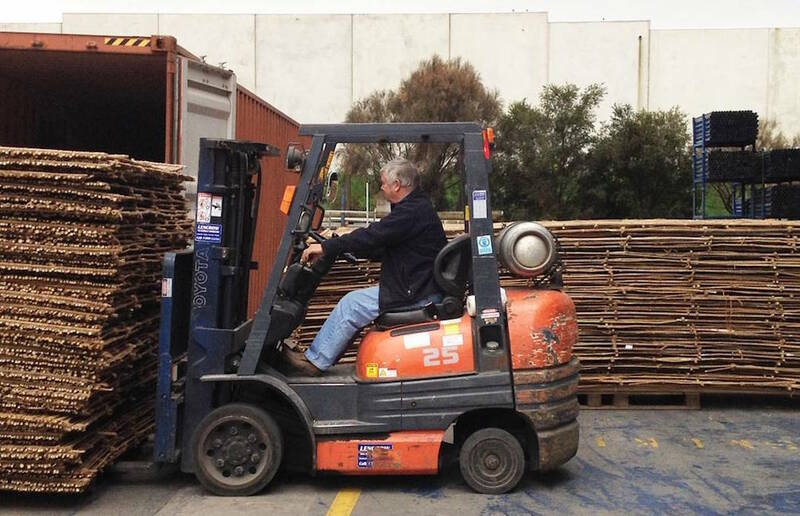 The long-awaited bamboo shipment from India arrives in Melbourne. Collective sighs of relief can be heard from Melbourne to Mumbai. Here it is after clearing customs, being prepared to be moved to the Queen Victoria Gardens. This image was taken today, Friday 2 September. Things are happening!